Blog | Blog | Stomach Pain – When Should I See A Doctor? Stomach Pain - When Should I See A Doctor? While nobody wants to be uncomfortable regardless of the specific situation that they are dealing with, any form of stomach pain or any type of related abdominal issues can be among the most dreaded health challenges that we can face. Issues of the abdomen frequently include symptoms that you hope will end quickly. But in most cases, even though your stomach problem may be uncomfortable, it is something that can be treated yourself, and the discomfort should not linger for an extended period of time. But even though most stomach issues are not serious in nature, there are many different causes of abdominal pain. For this reason, it is wise to understand which symptoms are more critical than others, and it is particularly important to know when you should seek immediate medical attention for the stomach issue that you are facing. Hopefully, your next stomach problem will not be serious, even though it might easily contain symptoms that you wish would end immediately. While there will be a collection of more significant stomach issues that will be discussed shortly, some problems are not as worrisome, but can still create discomfort. Acid reflux is a frequent culprit for stomach pain, and it can also be referred to as gastroesophageal reflux disease (GERD). This occurs when food travels backward from the stomach into the throat, which can create pain in the upper abdomen and chest, while also causing burning and hiccups. Stomach pain can also be the result of an ulcer, which can take place either in the small intestine, or the inner wall of your stomach. 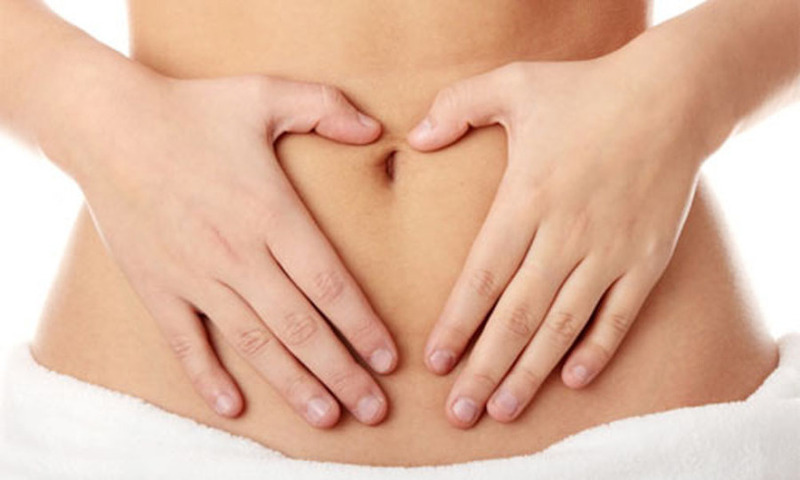 Irritable bowel syndrome is another possibility, as this is a common issue that creates cramping, bloating and pain. Constipation can certainly make you uncomfortable for the obvious reason that bowel movements are not taking place with enough frequency. Diverticulitis is yet another potential cause, as this inflammation in the walls of the digestive tract can also cause pain, bloating, diarrhea or constipation, nausea or vomiting. There are clearly a large number of reasons why you might be experiencing pain in your abdomen, and if you are dealing with a stomach issue that is making you uncomfortable, that in itself does not mean that you have a serious problem. However, there are some symptoms in which it is critical that you call 911 or have someone take you to a doctor immediately. If you are having difficulty with breathing it is essential that you seek immediate medical attention. This is also true if you are vomiting blood, or if you were recently in an accident, or suffered an injury. If you are pregnant and are bleeding, prompt medical care is also critical. Any type of chest pain should also result in a trip to an emergency room without hesitation, while high fever is yet another symptom that necessitates medical care. Also, if you are experiencing pain in the lower right portion of your abdomen and this area is tender to your touch, then it is possible that you have an issue with your appendix. But rather than attempting to guess what is causing your distress, anyone who is contending with any of these symptoms should quickly have a doctor determine the reason for your issue, rather than wasting valuable time with speculation. If you are having stomach issues, but your symptoms do not include any of the more concerning problems that were listed above, there are other scenarios when you should consult with a physician, even if your need for medical attention isn’t completely urgent. If you are dealing with stomach pain that lingers for more than several days, it is wise for you to visit a doctor. This is also true if you are unable to keep food down, or are dealing with nausea and fever. Bloody stools and any bleeding when you urinate should also lead you to the care of a doctor, as should frequent urination, vomiting, or the inability to have a bowel movement. This is also the case if you still experience heartburn or discomfort that remains after your attempts to treat your problem with over-the-counter remedies did not resolve the issue. If you have any questions, or pain of any kind in your abdomen, do not hesitate to contact us at Rapid Med Urgent Care Center. At Rapid Med, we offer immediate medical attention for conditions that are not critical or life-threatening and can provide you with advice on what you should do if you are encountering pain in your stomach.